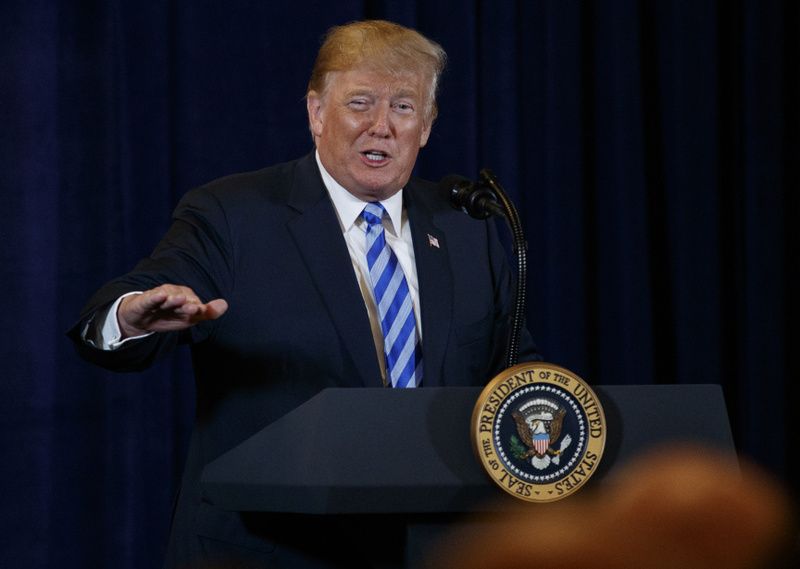 NEW YORK (AP) — The nation's newsrooms are pushing back against President Donald Trump with a coordinated series of newspaper editorials condemning his attacks on "fake news" and suggestion that journalists are the enemy. In St. Louis, the Post-Dispatch called journalists "the truest of patriots ." The Chicago Sun-Times said it believed most Americans know that Trump is talking nonsense. The Fayetteville, N.C. Observer said it hoped Trump would stop, "but we're not holding our breath ." "If you haven't already, please subscribe to your local papers," said the Times , whose opinion section also summarized other editorials across the country. "Praise them when you think they've done a good job and criticize them when you think they could do better. We're all in this together." That last sentiment made some journalists skittish. The Wall Street Journal, which said it was not participating, noted in a column by James Freeman that the Globe's effort ran counter to the independence that editorial boards claim to seek. Freeman wrote that Trump has the right to free speech as much as his media adversaries. "While we agree that labeling journalists the 'enemy of the American people' and journalism 'fake news' is not only damaging to our industry but destructive to our democracy, a coordinated response from independent —dare we say 'mainstream'— news organizations feeds a narrative that we're somehow aligned against this Republican president," the Baltimore Sun wrote . "We are not the enemy," declared the Mercury News in San Jose, California.